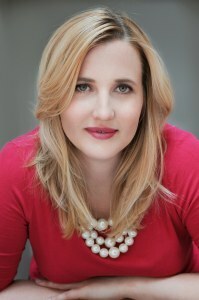 Dr Helen Johnson is a practitioner in Integrated Energy Techniques with a PhD in transforming lives and founder of Goddess Acumen, a company that helps women to be the truest, bravest versions of themselves utilising EFT, NLP, hypnoses and goddess archetypes. Today Helen talks us through what to do if you find yourself being patronised. This also has the added effect of confusing them and that’s quite satisfying. The double-edged sword for women is that if you react and show any frustration you will be perceived as weak (as people erroneously think that having emotions means you have less strength – personally I think shutting off emotions is a sign of weakness). On the other hand, if you acquiesce then that plays into their assumptions. These situations call for humour and perspective – if someone suggests that I have three arms I would just be a bit confused that they think that and carry on with my two arms regardless. I would think it is funny and says something about them not about me. I think the key is to cultivate that attitude, clearly they are wrong, clearly they’re a bit of an idiot (or at least ignorant), clearly I’m just going to carry on being fabulous. Don’t fight with them about something that is just untrue, continue to behave in accordance with the actual truth instead of their perspective. If the person insists on a reaction then actually just say thank you! “Thank you for your perspective” and then just get on with being brilliant. If the person demands too much attention (your boss for example), the key is to let them feel heard – hence why the thank you is important. You can’t change their mind through persuasion (if you try they will see it as evidence of your incompetence) so just refuse to pick it up (energetically speaking) and then put boundaries in place where you need to, if they are insulting or undermining you can refuse that behaviour and call them out on it, you can create space, you can make it clear what you are and are not willing to do. Remember, most of the time someone trying to patronise you just needs to feel in control and more competent than everyone else. They are scared (even if they don’t show it). So be ferociously compassionate, it will really annoy them! Goddess Acumen is running Abundant Goddess & Yoga Retreats in Barbados, 29th April-7th May 2017. Packages which include flights from the UK, most meals and accommodation cost £3599pp or £3249pp when booked by the 1st January 2017, payable in one, two or three instalments. The package also includes 3 months of coaching with Helen.